Your hair can be quite an impact on your overall look. It can either make you look more or less attractive. Other than your hairstyle and hair color, the health and texture of your hair reflects on how well you take care of your looks too. What would be your first thoughts when you see this hair? And the difference is in having the Japan's No. 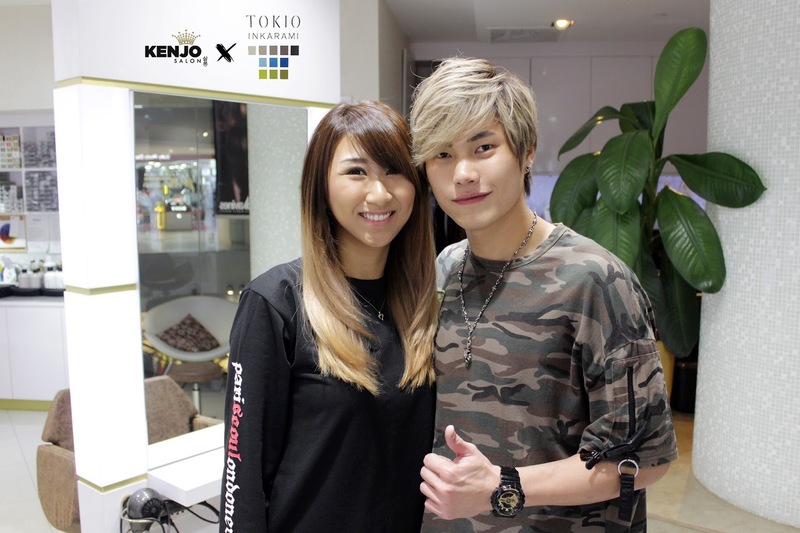 1 Tokio Inkarami hair treatment done for me at Kenjo Salon by my hairbestie William. 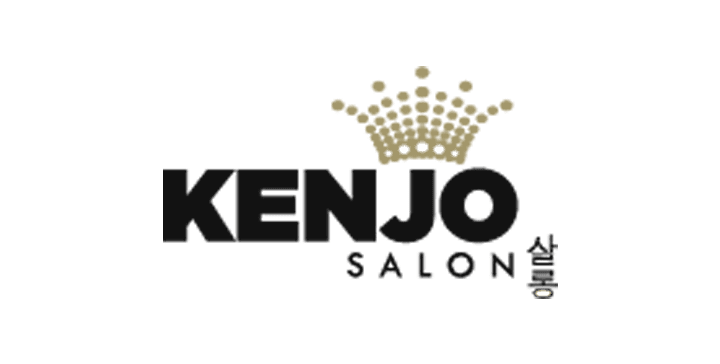 Tokio Inkarami restores the integrity of your hair repairing all 3 hair structures - Cuticle (outermost layer), Cortex (middle layer) and Medulla (inner core) in 5 steps. It involves a lot of massaging (literally) of the treatment products into the hair and also heating & steaming of the hair. Why do I say literally massaging? Because William was pounding on the ends of my hair all the way up with his fists like how someone would pound massage my shoulders and back hahaha! He also uses his fingers to thoroughly rub the products in. The whole treatment usually takes 1 and a half hour to 2 and a half hours. There are a variety of hair treatment products for different hair types so the most suitable for your hair type will be done for you. 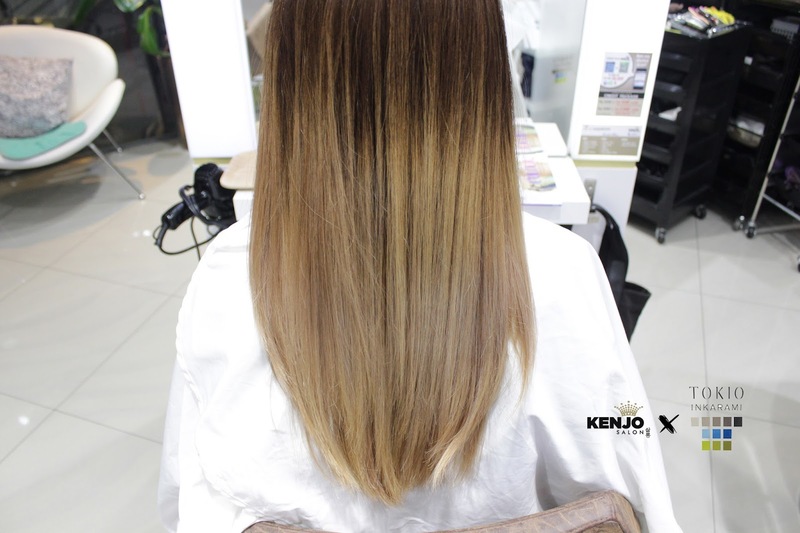 Want to try this treatment or spice up your hair with a little change? 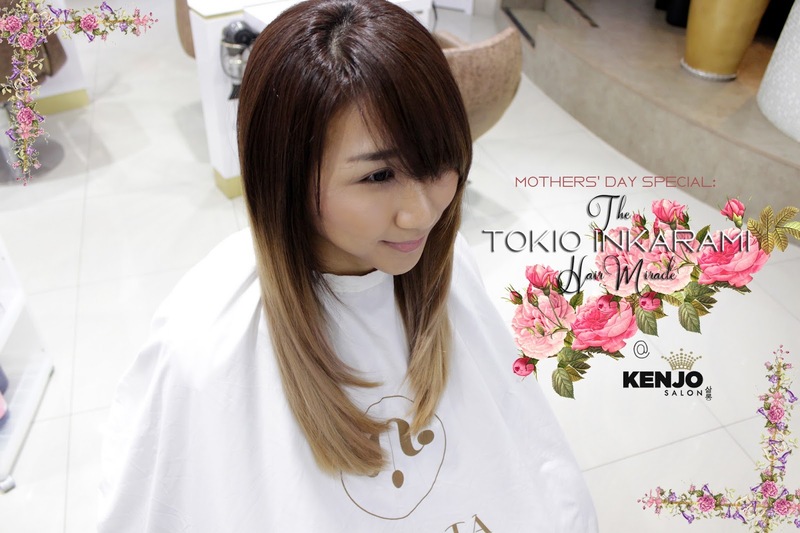 You're in luck if you're reading this post in the month of May because there is a special Mothers' Day AND Tokio Inkarami promotion going on throughout the month! If you're aged 18 and above, be the first 10 persons to book an appointment quoting my name for your mom and yourself and your mom gets to enjoy 50% OFF while you enjoy 15% OFF any hair service! 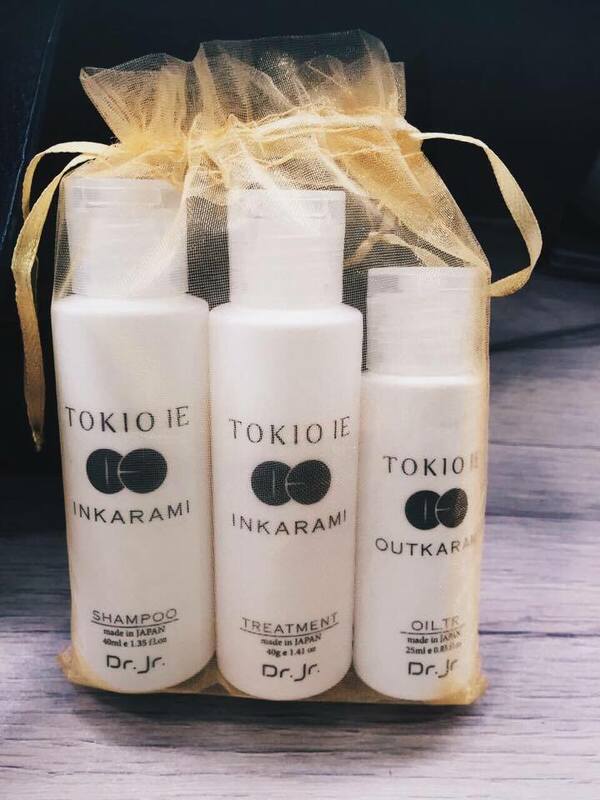 Want to bring home this Tokio Inkarami/Outkarami Shampoo, Treatment (conditioner) & Oil. Tr (Serum) Travel Set? If you're keen to do it alone, fret not, you can still quote my name for 15% OFF your first visit or Tokio Inkarami*! 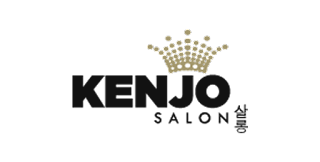 Also, get the Tokio Inkarami treatment done at Kenjo and you will receive a Take Home Tokio Inkarami Treatment Travel Set for FREE*!! !